Easy Clean- Made with 100% silicon, it resists staining and is waterproof. Easy cleanup with just soap and water, or dishwasher safe. Portable- Easy to store and transport. Bibs come with a plastic zipper bag making storage a breeze. 100% Satisfaction Guaranteed- If for any reason you are not happy with your purchase, ShopNeste will refund your money! 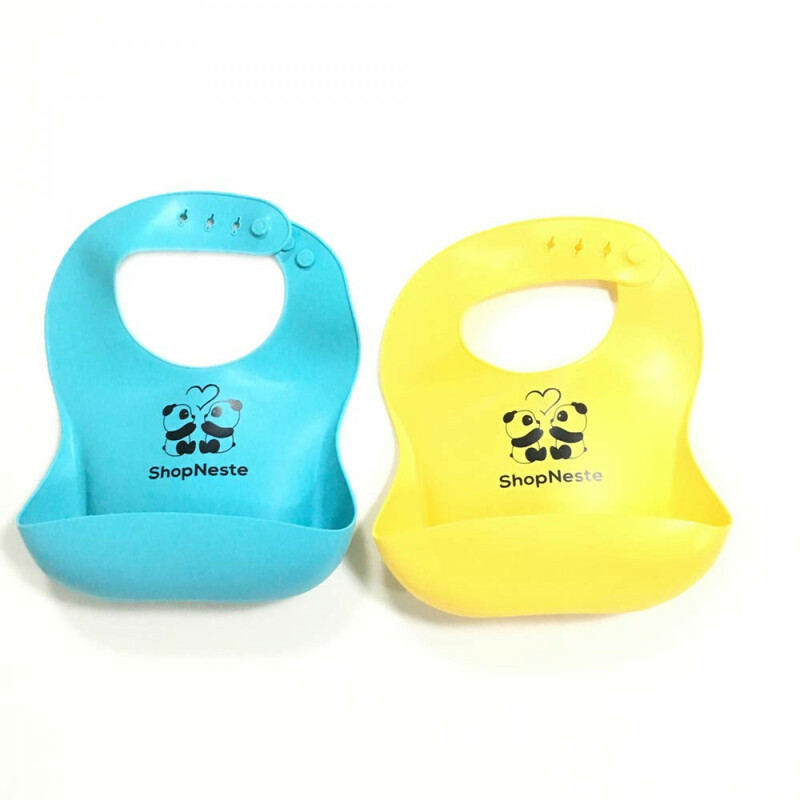 WaterProof Silicon Baby Bib Easy and Quick Cleanup Tired of messy food stained clothes or messy babies and toddlers? 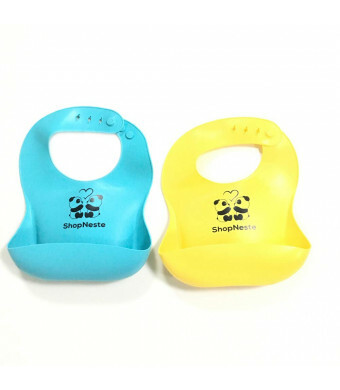 Our waterproof silicon baby bib provides an alternative to cloth bibs. We use 100% food grade silicon that resists stains and is quick to clean up. Just simply wash with soap and water or toss into the dishwasher. FDA Approved Food Grade Silicon Our children are our biggest assets and keeping them healthy and safe is top priority. At ShopNeste, we want to provide the safest products to our customers. Our bibs are made with 100% FDA Approved Food Grade Silicon free of harsh chemical and toxins such as BPA, Phthalate, Lead and Latex. Adjustable Design Our bib has different adjustment available to fit the needs of any child. It also includes a large open pocket to catch any food or liquids that may slip. 100% Money Back Guranteed! We strive to make sure our products satisfy the needs and desires of our customers. However, if for any reason you are not 100% satisfied with your purchase, we will gladly refund your money.